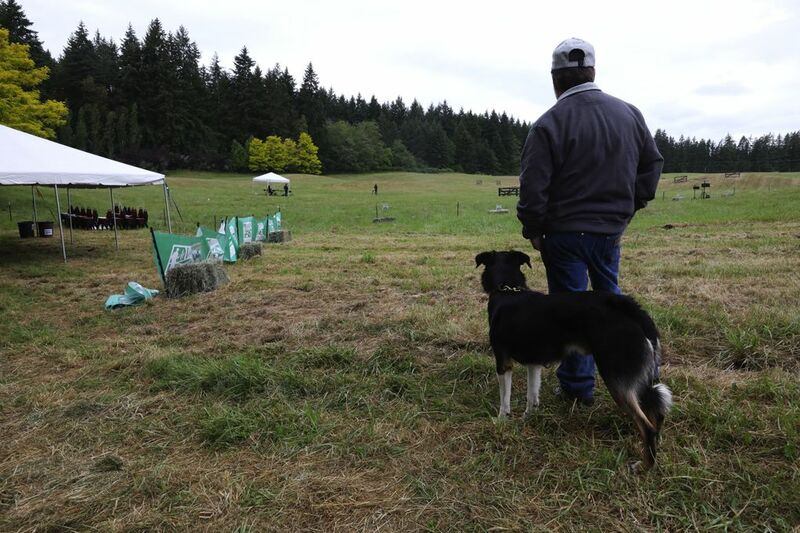 At the annual Sheepdog Classic on Vashon Island, border collies focus on the job at hand: Persuading skittish sheep to walk into a pen. 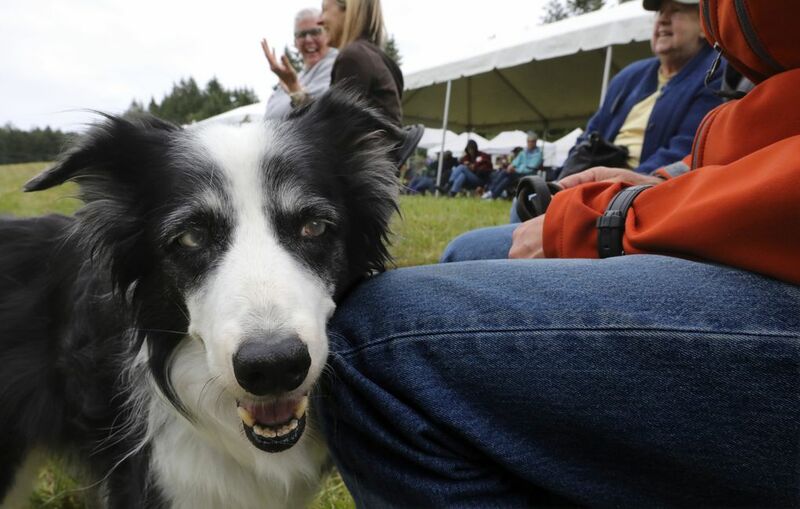 Are border collies the smartest dogs on the planet? 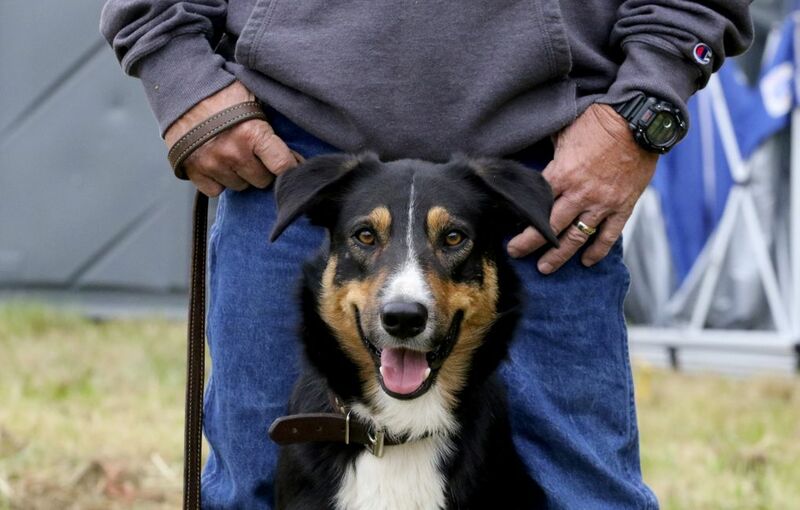 Sheepdog owners decline to name the dumbest breeds out of respect for man’s best friend. So take that, Jack Russell owners. The terriers’ energy may be confused for intelligence, and they don’t make the American Kennel Club’s top 10. And the queen’s corgis? Palace adornments. 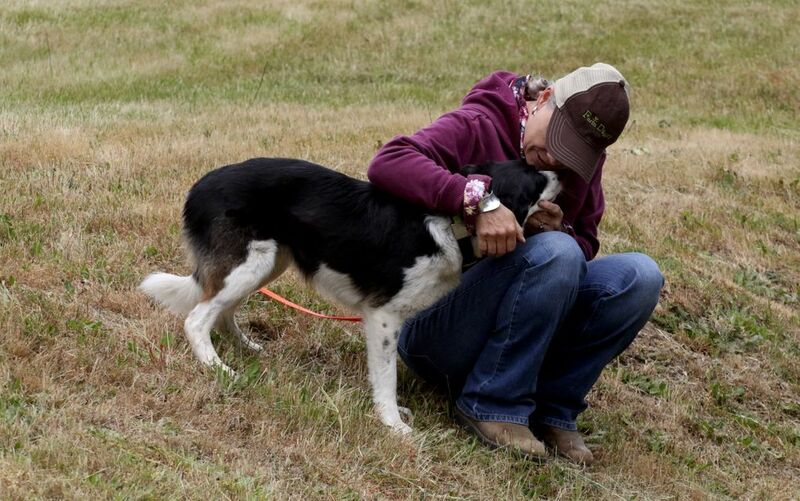 Not only do border collies have high IQ’s, they love to work. 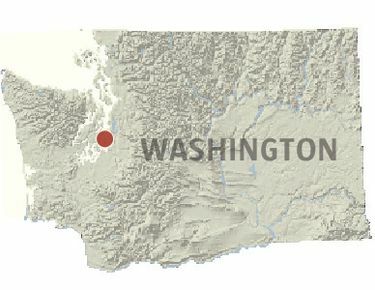 And they’ve come to Vashon to compete at the annual Sheepdog Classic. Sheepherding dogs have to solve the problem of the flock. They have to read the sheep — from the slowest to be moved, to the one most likely to panic. Panic breaks up the group. Sheep just want to eat grass and survive, not be harassed. So the dog has to convince a flock of five that there’s no other option but to go into the 8-foot-square pen. 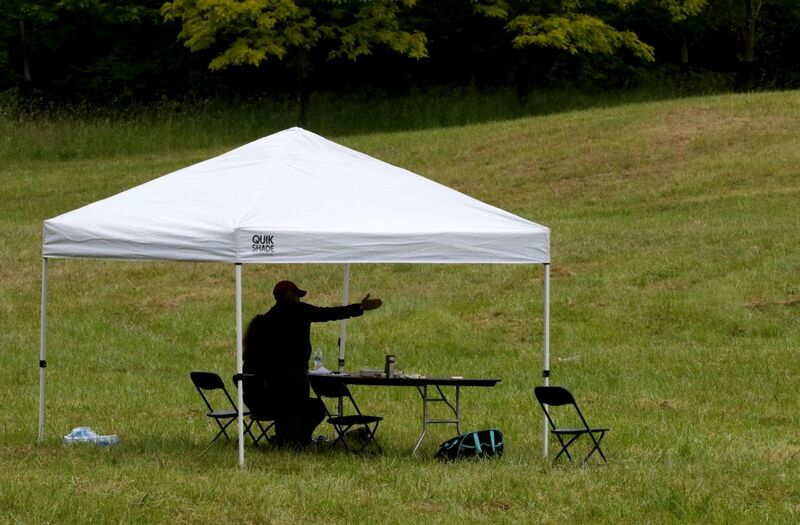 The field is 400 yards long. Quickness, stamina and eye contact are used. Biting is not allowed and is an instant disqualification. On a hillside just outside the fence, Vickie Close, of Coeur d’Alene, Idaho, is snuggling Kitt. 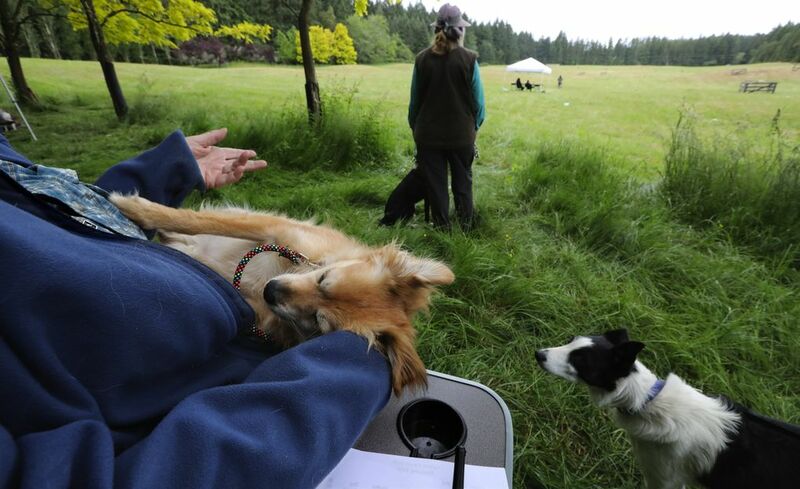 De Jong, who’s from Enumclaw and is secretary for the event, closely watches with Mini Cooper fast asleep in her lap. 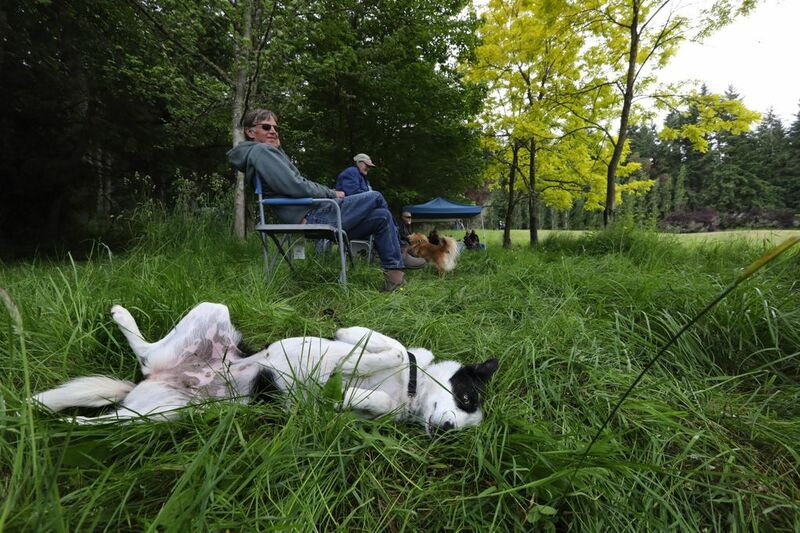 Cooper is a mix of something — maybe part Papillon — and enjoys life as a lap dog, not a herding dog. She attracts the attention of Dot, a border collie passing by. Dot stares that intense, fixed stare of the breed. What’s Dot thinking. “That slacker”? Border collies have an intense desire to work. “There’s not a creature with more of a work ethic,” De Jong says. 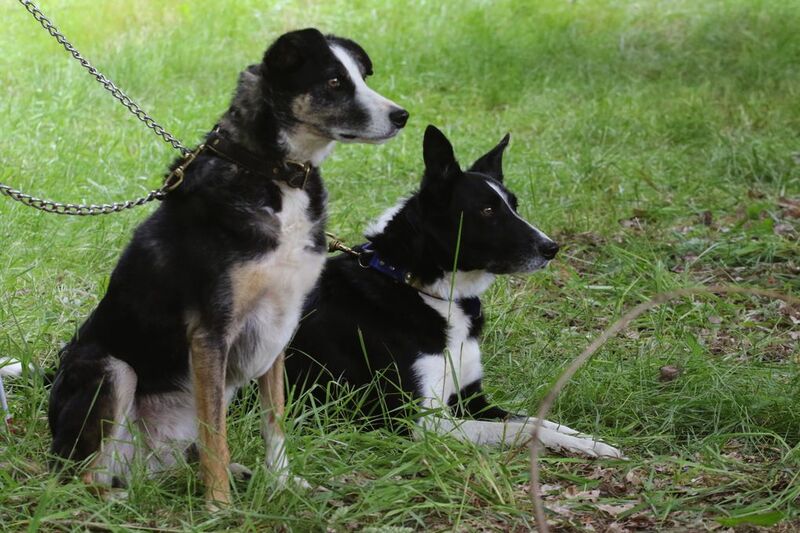 Other collies watch the herding from the sidelines while they wait their turns. Are they sizing up the competition? Are they thinking, “I can take that guy”? 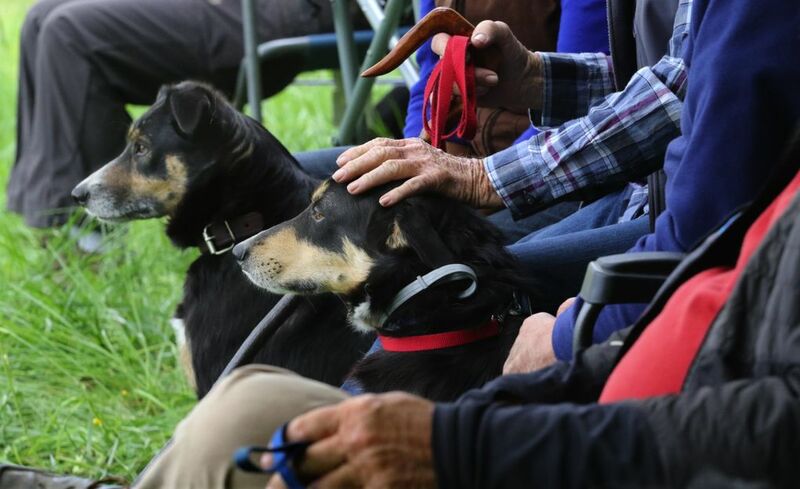 Instructions from handlers come in the form of whistles and verbal commands. Whistles are used when the dog is far off. Words when the sheep and dog are closer. “Go out” — move counterclockwise. “Come by” or “go by” — move clockwise. “Walk up” — move straight to the sheep. The sheep have to be moved to the pen within a time constraint. 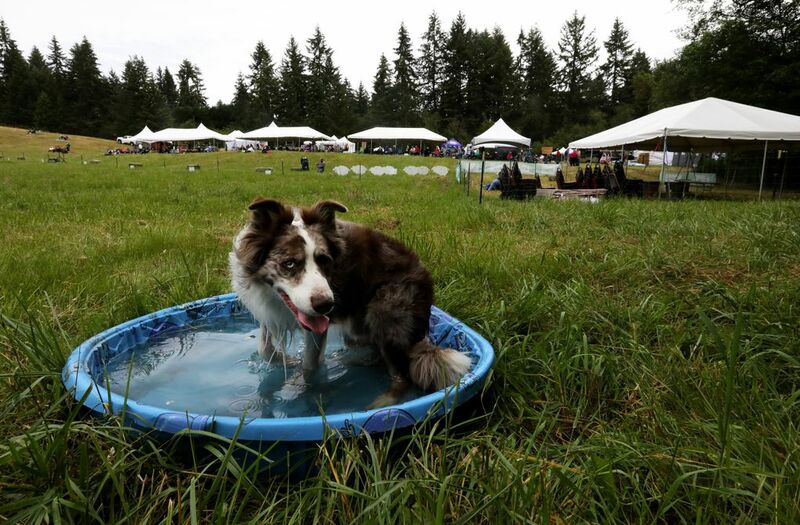 When the dog succeeds or time expires, it heads to a wading pool in the field for a cool-down.